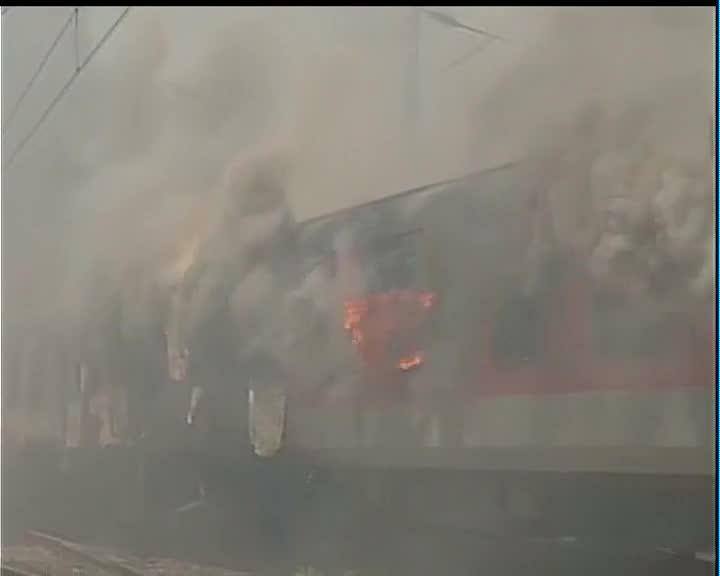 New Delhi(ANI): Two Rajdhani Express trains - Delhi-Rajdhani Bhubaneswar Express and Sealdah Rajdhani Express caught fire at New Delhi Railway Station yard on Tuesday. According to reports, both these trains were parked in the washing area. No casualties have been reported. Neeraj Sharma, CPRO, Northern Railway said, "Four coaches of Sealdah and two coaches of Bhubaneswar Rajdhani express caught fire. No casualties have been reported and situation is under control." Railway coaches on fire in New Delhi Railway Station. No casualties.